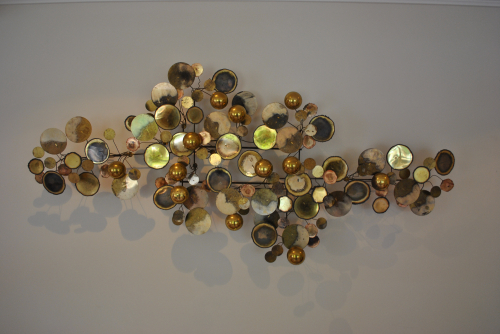 Sensational Curtis Jere "Riandrops" wall sculpture. Fashioned from patinated bronze and brass on a metal frame. Signed and dated 1975. USA.